Get a daily email with the most recent follows and favorites of Twitter users you find interesting. Learn from influencers, keep tabs on what competitors are doing, and explore via others' social activity. or see an example email. @jschloss (Product designer and CEO at Even). "@scottbelsky: "What makes something better is connection." Quick animated short of wisdom from @BreneBrown that struck a chord: https://t.co/3gfe6UBMjc". @KamangarSalar (senior executive at Google and former CEO of YouTube). @nwintroub (Global Head of Internet and Digital Media at JPMorgan). 1778 users are tracking 5419 Twitter accounts each day. Join them for free! 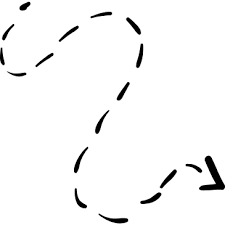 Enter a few Twitter handles whose activity you want to track. 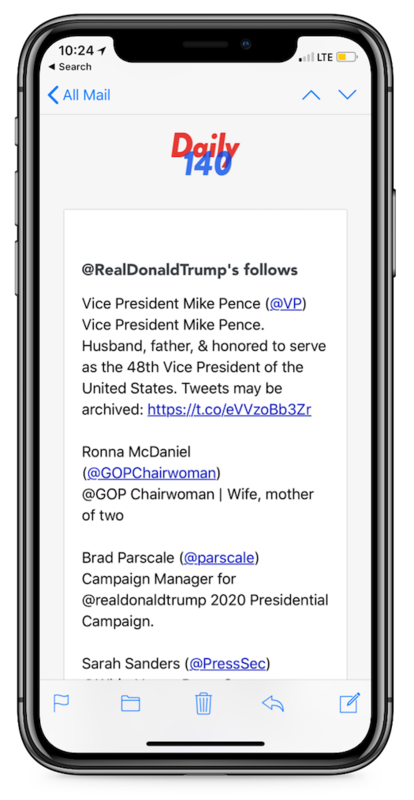 Each morning, you'll automatically receive an email summary digest with the Twitter accounts that each of those users followed, and the tweets that they liked, in the previous 24 hours. Monitor the likes, favorites, and follows of friends, influencers, celebrities, competitors, or just accounts you find interesting. Change the accounts you track as often as you want. Be the ðŸ†’est and buy a âœ¨monthly membershipâœ¨ to track up to 10 accounts. Seriously, it'll be your favorite email of the day. Click here to sign up.